Here is a post I wrote last year around Christmas time and thought you might enjoy reading again. Enjoy! 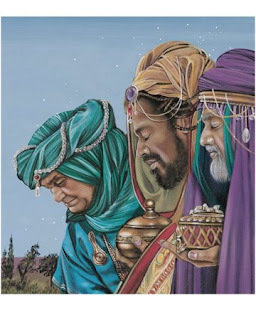 Just out of curiousity I took a look at the significance of frankincense and myrrh. I always wonder about things and I wondered why those might have been the gift of the Magi. It turns out frankincense and myrrh are very significant both historically and for our benefit today. They are considered herbal remedies and are both derived from the resin (sap) of two different trees found mostly on the Arabian peninsula. Myrrh (Commiphora myrrha) is derived from resin found in the stems of this bushy shrub. Frankincense is a resin from the tree Boswellia. The tree is cut and the sap runs for several weeks and then hardens into "tears" which are harvested and sold. At the time of Jesus birth the Roman Empire imported these two spices and they were actually worth their weight in gold. In Moses time, Myrrh was used in the Tabernacle and as an ingredient of a holy annointing oil and incense. Additive to wine. Pliny the Elder refers to myrrh as being used to fumigate wine jars before bottling. Penitential incense in funerals and cremations. For many of the ancients myrrh was a favorite perfume which would keep it's fragrance for years if kept in an alabaster pot. Egyptians ground the charred resin into a powder called kohl which they then used as a black eyeliner. Frankincense was first introduced to Europe by Frankish crusaders which is where our name for it is derived from...Frankish Incense - Frankincense. The main use of frankincense was in embalming the dead because it would preserve the body from putrefaction until burial or cremation. The emperor Nero at the funeral of his second wife Poppaea, burnt in excess of the total annual production of Arabia. Acts as an antiseptic and disinfectant making it useful for abscesses, boils, sores and wounds. Interestingly, myrrh is a bacteriostatic inhibitor which stops the production of Staph and E. Coli bacteria. Acts as an expectorant making it usesful for asthma, bronchitis, colds, flu, sinusitis, and sore throats. Myrrh mixed with red raspberry leaves makes an excellent mouth wash and gargle for relief of sore throats. Acts as a deoderizer and works well as a mouth rinse for bad breath and periodontal disease. Powdered myrrh will strengthen the gums and naturally whiten teeth. Stimulates the immune system and can help with auto-immune disorders like rheumatoid arthritis, lupus, and osteoarthritis. It's blood moving properties can purge stagnant blood out of the uterus making it useful in treating amenorrhea, dysmenorrhea, menopause, and uterine tumors. In Chinese medicine, frankincense is used orally for digestion and healthy skin. Certain types of frankincense can be chewed as a gum. Used in this way it elimintates bad breath and the juice derived from the gum is thought to benefit the kidneys and the liver. You can still enjoy the healing and aromatherapy benefits of these products today. Check out our affiliate Mountain Rose Herbs for Frankinsense powder and essential oil; and Myrrh resin, powder and oil. Shannan and I wish all of you a very merry Christmas! What a great post! I've really been wanting to start learning about natural herbs and homeopathic medicine. I have so much to learn but will definitely start with myrhh! Thank you! Good Morning! This is an amazing post. As a funeral service/ mortuary science apprentice I have decided to learn as much as I can about herbs and other natural substances that were histrorically used in embalming. This post has encouraged me to start with Frankencense. What motivated you to begin studing herbs and other natural substances? Are there any other natural substances that you know of that were used in ancient embalming?